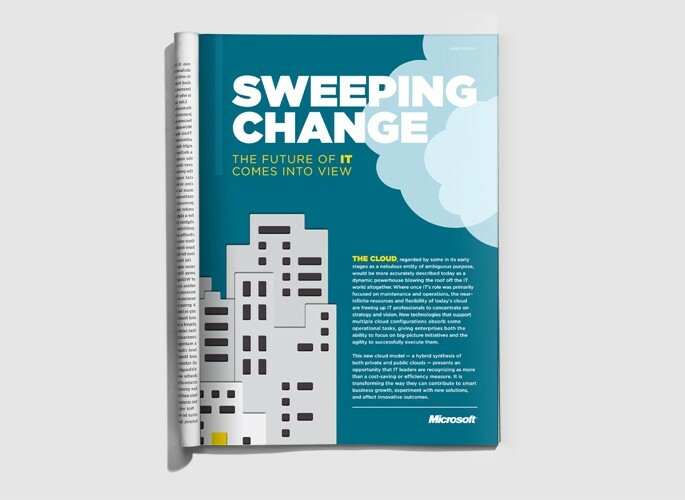 Microsoft and WIRED partnered to uniquely communicate how cloud computing is transforming the role of the CIO. 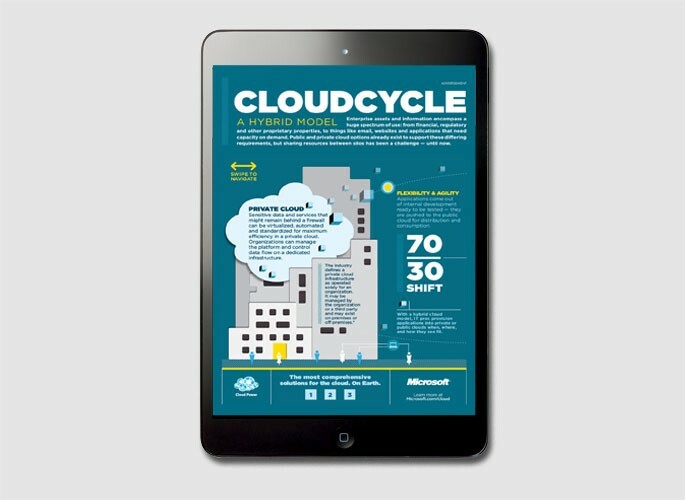 Digital: Visually showcasing the interactivity between private, public and hybrid clouds, WIRED created a custom expandable infographic unit that distilled the convergence of the cloud. Print: A high-impact gatefold execution graphically illustrated how IT organizations could utilize the cloud to effectively and securely move apps between public and private clouds. Tablet: An interactive slideshow execution revealed and teased information about Windows Server Hyper-V and System Center, Windows Azure, and Microsoft Office 365. Live: WIRED developed a bespoke CIO Leadership Forum that provided a platform to discuss innovation and opportunity in the cloud. WIRED and Microsoft hosted IT leaders in NYC for a half-day of inspiring conversation, including a keynote by Microsoft’s Bob Kelly.